Coffee and flowers moved in together and created the most beautiful baby. Behold: Communal Coffee + Native Poppy Co located in North Park, San Diego. Oh man, if this place was around when I was in grad school I would have been addicted to coffee and would have tried to snag a job here to fulfill my inner floral artist dreams!! 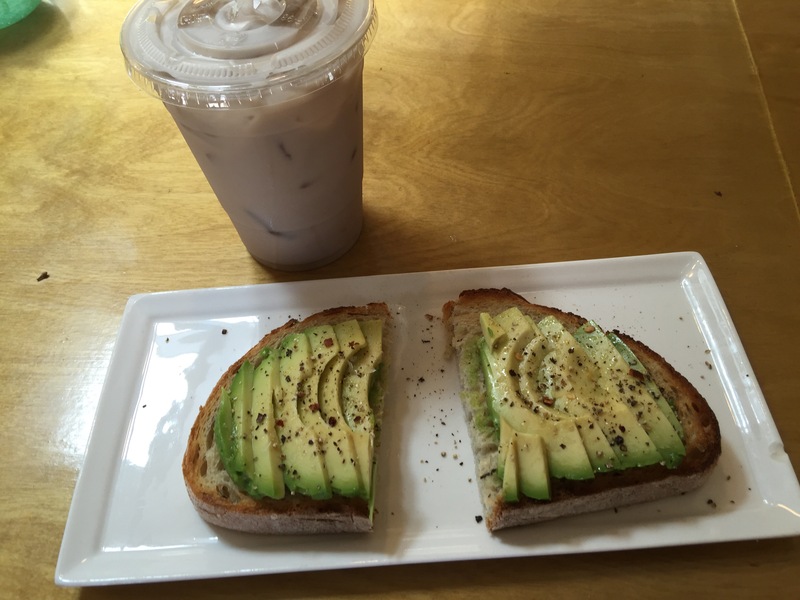 I started my morning with avocado toast and an iced almond chai – both delicious and filling! I enjoyed breakfast at the floral bar and chatted with some of the workers. They are the friendliest. Before and after food, I perused the collection of handmade delights in the shop. 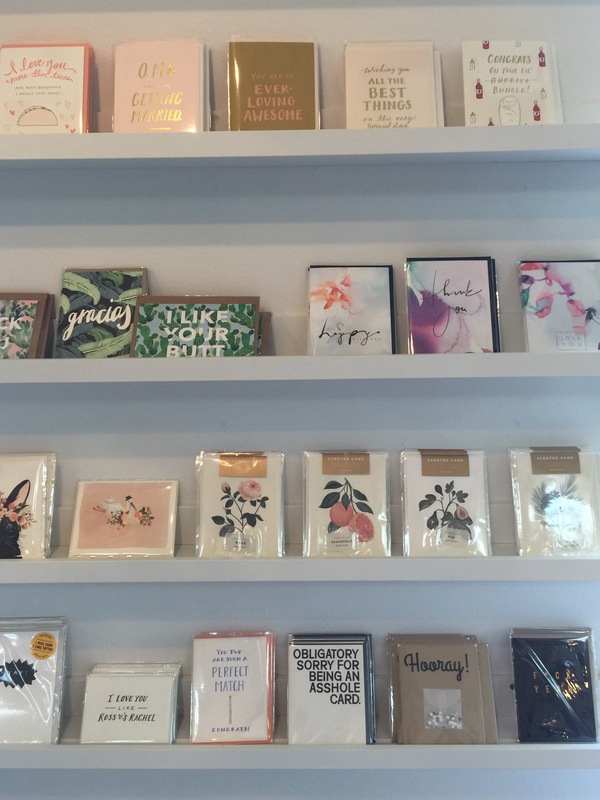 Soaps, candles, books, cards, prints, jewelry. Everything was too good. And I snagged myself a copper + sea glass ring. Eee!!! And then the flowers. Oh, the flowers. Simply gorgeous. You can purchase stems a la carte and create your own bouquet or BYO container and have the floral pros design a bunch for you. 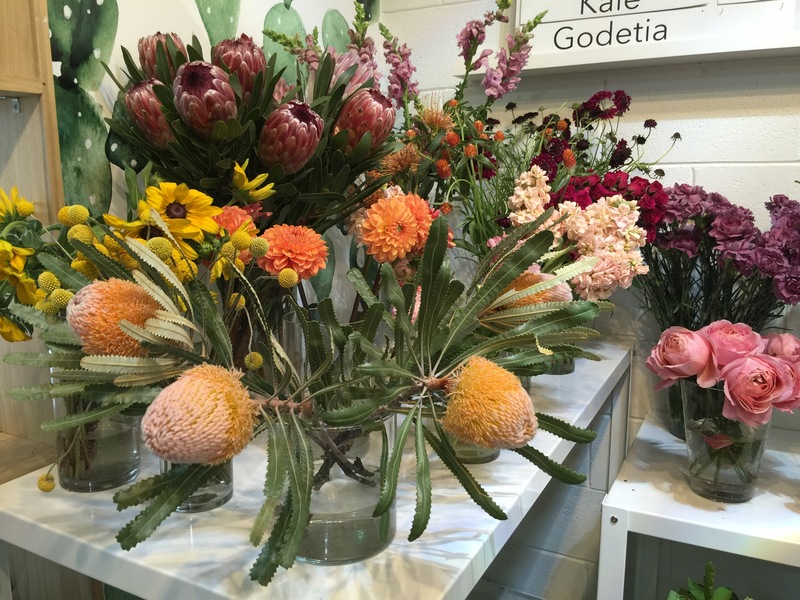 They also do events, make floral crowns, offer subscriptions, and have bike delivery! I wish I had more time to spend in the cafe to relax, people watch, and enjoy all the natural light. I shall return! Oo avocado toast sounds delicious. I don’t think I’ve seen that on any menus in the bay. I’ll have to check out that cafe when I visit the parents in San Diego.